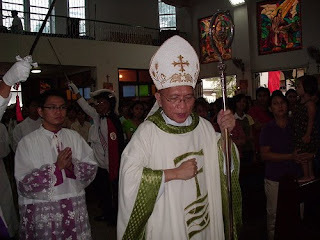 The Bishop of the Diocese of Cubao, his excellency Bishop Honesto F.Ongtioco, D.D., has permitted the erection of a personal parish for those who are attached to the Extra Ordinary Form of the Latin Rite. The church building will be dedicated to the Immaculate Heart of Mary and will under the auspices of Fr. Michell Joe Zerrudo and the Ecclesia Dei Society of St. Joseph to consolidate efforts aong various groups advocating the return of the form of Mass popularly known as the Tridentine Mass. The parish will also be available for other Sacraments to be administered according to the liturgical books of 1962 or prior to 1970. 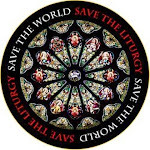 It will also be a venue of training for priests who would like to learn the ancient usage of the Roman Rite and others who would like to learn the rubrics of serving at the traditional rites, including schola and choir training. The Diocese is now looking for a venue for the said personal parish and funds are solicited in order to commence such as august aposolate. Funds may be channeled through Fr. Michell Joe B. Zerrudo, Parish of Our Lord of Divine Mercy, Diocese of Cubao, Maamo cor. Madasalin Sts., Sikatuna, Quezon City, Philippines or may call his parish at 029213337. We therefore appeal to traditional Catholic communities to help us in such endeavor.